Ebenfalls in der Schaffungsphase befindet sich derzeit das Review zur Seidon 120M von Cooler Master bereits vor gut einer Woche stellten wir das letzte Update unserer Kühlercharts online, wobei wir eben diesen Kühler hinzu gefügt haben. Die Performance ist angesichts des Preises in Ordnung, allerdings ist die Kühlung nicht gerade als Leisetreter zu bezeichnen. Mittlerweile findet man auch die Bilder zu diesem All-in-One-Wasserkühler in unserer Galerie. 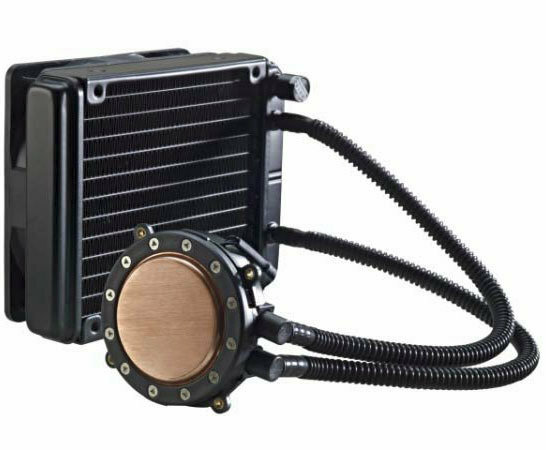 Next to quite a few other reviews we're preparing the article on the Cooler Master Seidon 120M these days. About a week ago we've published our latest cooler chart updated where you can find the results of this product. Overall the performance is ok, especially when you consider the price. Unfortunately the fan is quite noisy. Furthermore you can also find all the pictures to the product in our gallery. Basically I like this product, but I dislike the fact, that the manufacturers equip their products with super high revving fans just to score another one or two positions better in the charts. This creates a picture that is just wrong. The Seidon 120M is a good example for this, since Cooler Master ships this product with a fan, that revvs with up to 2400 rpm! Users out there buy those products, because the want a decent cooling system, that offers good performance at a low noiselevel and now the manufacturers come and pack the things with 2400rpm fans? I don`t like the design of the cooling block, looks like playmobil (plastic crap), also the eisberg is not beautyful at all. Personally I think the Eisberg is ok.
Imo the Eisberg pump/cooling block looks like a chunk.